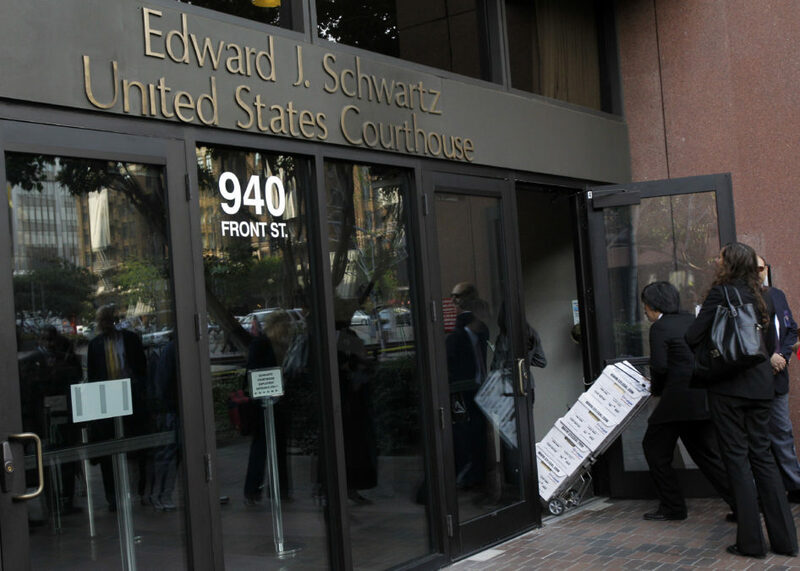 In a case being heard at the federal courthouse in San Diego, a federal judge approved an agreement to reunite 366 immigrant children with their parents. Meanwhile, more than 500 children remain in custody, deemed ineligible by the government to be reunited with their families. A federal judge approved the government’s plan on Friday to reunite 366 children with parents who were deported in the aftermath of the Trump administration’s “zero tolerance” policy. But there is one lingering issue brought up by the ACLU that U.S. District Judge Dana Sabraw would like lawyers to discuss: Should deported parents be reunified with their children in the United States? A related family lawsuit filed on behalf of the children argues that parents should be returned to the U.S. as their children seek asylum. In this case on Thursday, Sabraw put a halt to deportations of reunited families. On Friday, Sabraw offered lawyers some “tentative thoughts” on the issue: Parents with removal orders should remain in the U.S. if their child passed a credible fear interview. For deported parents, Sabraw added, the focus should be on reunification, which “from a practical standpoint,” should happen in their home country. He gave the parties until next Friday to propose possible solutions. As part of the new plan, the government will pass along any known contact information for parents to the ACLU, which will try to reach them. On Friday, ACLU attorney Lee Gelernt noted that the group has called about 100 parents and only reached about half. The government filed new reunification numbers on Thursday that show approximately 565 children are still in custody because they aren’t “eligible” for reunification. This includes cases where, among other factors, the parent was deported or has a “red flag” on a background check. Among the 565 children are 24 under the age of 5. This summer, the Trump administration began criminally prosecuting border crossers and separating them from their children. On June 20 after enormous backlash from immigrant advocates and politicians, Trump ended the practice. A few days later, Sabraw ordered the government to reunite up to 3,000 children who were removed from their families. Help inform our immigration coverage. Send tips to border@revealnews.org.